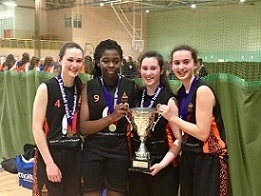 Letterkenny Blaze Basketball Club were celebrating more All-Ireland success at the weekend when the club’s U-16 girls team who the AICC Division B title. 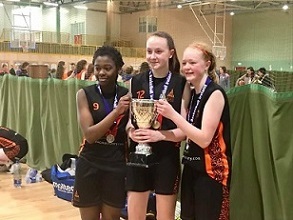 Their win comes just two weeks after the club’s U-14 girls also won the All-Ireland B title - the first team from the club to win an All-Ireland. It ensured a magnificent double for Blaze - and a special mention must go to Emma Gribben and Sinead Otoo who were part of both squads. The AICC finals were played in Gormanston and Blaze had three group matches on Saturday, winning two and losing one. That saw them qualify for the semi-finals on Sunday as runners-up from Pool 2. They played the winners of Pool 1, St. Colm’s of Kerry, and Blaze put in a quality display to record a 41-33 victory. In the final, they met Maree BC from Galway, a repeat of Saturday’s group game which the Galway wide won. But in the final, Blaze held on to win a dramatic decider by just five points, 46-41, to round off another brilliant season for the team.